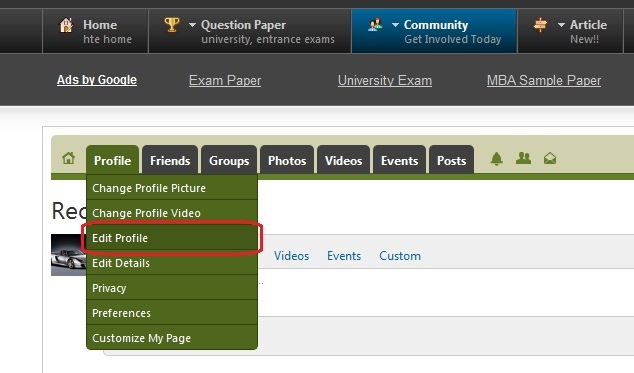 On How to exam you must provide payment information to get your account set for first payment. Keep in mind that your earnings will need to reach the appropriate thresholds before we can process your payment. This article will provide step by step information for filling your Payment Settings form. To fill the Payment Settings form first click on Community menu, this is available in menu bar of every page, See the image below. Now click on Edit Profile as in image below. On Bottom of Edit Profile page you will be able to see Payment Settings form. Find the help on field information below. Payment method - We currently have three methods. Check - This option is available for Users living in India only, and its threshold amount for payment is higher than PayPal. Donate To HowToExam Charity fund - Sharing your hard earned knowledge is More valuable than money, You can donate your money to those who can not afford education. 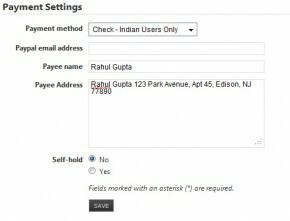 Paypal email address - If you have selected PayPal as your Payment method then this is the only field you need to fill, Other users do not need to fill this field. Please provide correct PayPal email id, Please check your spellings twice, It will not be possible for us to revert your money once after it has been processed from our side. Payee name - If you have selected Check as your Payment method then this field is necessary for you, Other users do not need to fill this field. If you have a bank account you can provide your name, If you do not have bank account you need not to worry about, You just need to provide some one's name who has a bank account, it could be your father, Brother , Friend or any relative, we will send check on the name of person mentioned over here as Payee, And check can be encased in his account. Payee Address - Provide the address where you want to receive the Check, Make sure that you can receive letters and couriers at this address , Not required for PayPal Users. Self-Hold - If you do not want to receive your money for some time, then you can check on yes and your money will be safe with us, We will send you the money once you will click on No again. Do not Click on yes if you want your money every month.